Over the years, I’ve followed the unbeaten path when it came to my hair. There are a ton of curly and coily hair tips, almost endless amounts, and it can get overwhelming at times. Because of that, there are some obvious natural hair staples and techniques that I simply never got around to trying because my products and regimen were working. Over time, you start to better understand your hair and discover obvious techniques that work well for you which you may have once overlooked. Here are some products and techniques that are considered tried-and-true in the curly community that I did not try and discover until later in my journey. 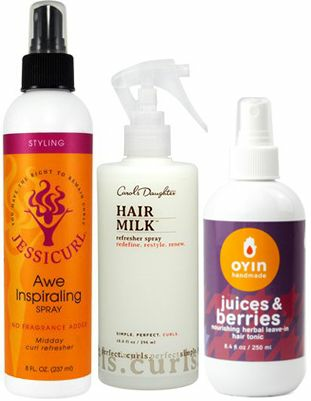 Dry hair is the plague for most curly hair ladies and continues to be an ongoing struggle for most. When I first started out, I would co-wash my hair nearly every other day because I loved the wash and go look, I just didn’t like the dryness. For me, I don’t mind big hair even if it’s a little bit frizzy, but that combined with dry hair is a no-go for me. 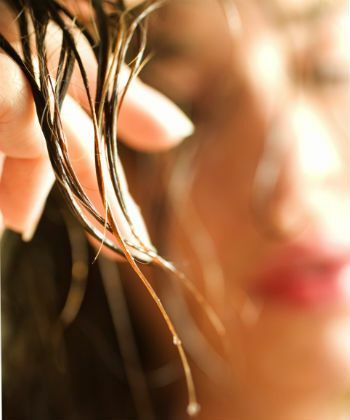 I never really considered the porosity of my hair as one of the culprits of my dry hair. To me, porosity was another term in the natural hair lingo, which I never really got into. Later when I learned that my hair shaft is tightly closed and I need to force moisture in the hair shaft, it changed everything. I always thought I was good at defining my natural curls. I know that my hair loves a good conditioning and that really aids in its definition, but what I didn’t know was that the Denman brush takes it to a new level of definition. Later in my natural hair journey I decided that I wanted to decrease the volume of my hair on wash day. This would allow it to gradually get bigger over the next couple of days and not be dry and frizzed out so I could wear it longer. When I stumbled upon the Denman brush and started using it, it condensed and defined my hair so well that the following days I still had great hair without having to co-wash again. 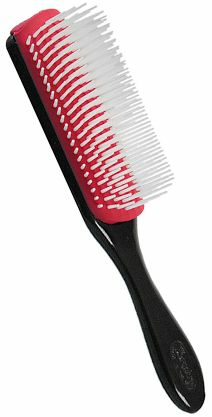 This magical brush is a must have for any natural and it’s a shame that I didn’t discover it until later. I decided long ago that if I was going to wear my hair natural then I would try to use better quality ingredients, but all of the natural hair puddings, gels, and creams were really pricey, and with my thick hair I’d just go through them too fast. 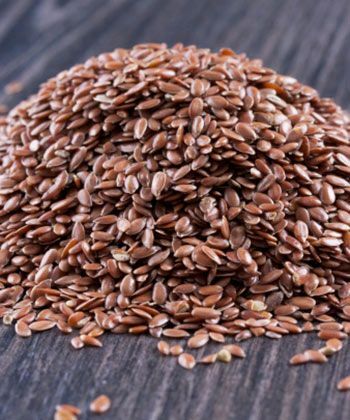 I heard some chatter about flaxseed gel but never really paid any attention to it. I’m a DIY girl at heart so about two and half years into my journey I started making my own flaxseed gel and I loved it. I knew exactly what was in it and, it was dirt cheap to make, who could ask for any more than that? I very recently discovered curl refresher spray. Curl refreshing spray was another one of those things that I thought was just another way for companies to make more money and probably it probably did not perform better than my water & conditioner concoction. Actually, I find it to be quite moisturizing and a great way to keep my hair hydrated. Overtime, I noticed that my hair liked certain conditioners and others seemed like they really didn’t work at all. I also discovered that my hair was very protein sensitive and needed extra moisture. So, when I stumbled upon Aussie Moist I was ecstatic and even happier that my hair loved it. Even more recently, I’ve discovered the Aussie Moist 3 Minute Miracle Conditioner, which is getting raving reviews in the natural hair community, and my hair also really loves that. I’m not one to try every product and technique under the sun because I like simplicity, but I have discovered that sometimes it pays off to pay attention to all the hype.